The all-suite Fairmont Kea Lani, Maui recently unveiled a new, multi-million dollar Willow Stream Spa. It's the culmination of three years of substantial improvements to the luxury resort, including the addition of the award-winning Ko¯ restaurant, which opened in 2012. The luxurious Willow Stream Spa will double in size, encompassing over 9,000 square feet comprising of eight manicure and pedicure stations, one make-up station, 13 interior treatment rooms and three outdoor spa cabanas. Treatment rooms will include the Nalu (Wave) Suite, with a state-of-the art wave table that will simulate the feeling of floating, the Wailele (Waterfall) Suite which will offer Vichy Shower treatments, and the Hui (Gather) Suites, four treatment rooms with a private foyer, perfect for small groups and special occasions. Outdoor cabanas will include the Oceanside Spa Cabana, popular amongst couples, the Poolside Spa Cabana, and the Garden Spa Cabana, specializing in treatments that include fresh-picked herbs from the resort’s garden. Additional interior features will include experience showers inspired by varieties of Maui rain, a soothing pa¯lolo (mud) bar and an invigorating hot lava stone foot bed. Accommodating 22 guests per hour, the new Willow Stream Spa will effortlessly blend sophistication with tradition and science with nature. Treatments will be inspired by Hawaiian traditions, designed for results in stress relief, skin care, diminishing the appearance of fine lines or pure good-for-you pampering. Products and services have been developed in tandem, utilizing the famed Kerstin Florian International product line, as well as local products, plants and herbs, to restore energy and achieve maximum results. The professional and licensed on-staff practitioners have undergone extrensive Willow Stream-specific training. Selected from Maui’s most seasoned estheticians and massage therapists, the elite group is learning the latest therapeutic technical applications related to both state of the art equipment and skin care, focusing on offering the highest quality experience for spa guests. With 16 award-winning spas inside Fairmont hotels and resorts worldwide, Willow Stream spas are relaxing, sensorial and social. Offering luxurious, personalized signature experiences that guide guests to renewed energy, Willow Stream’s award winning spas have distinguished themselves from other resort spas by customizing each and every spa experience and by creating social gathering places and private nurturing spaces. Willow Stream has created a menu selection of energizing, authentic and lifestyle-inspired treatments that speak to the passions of each guest. Based on the fundamental principles of energy and connection, each spa focuses on creating lively places with nurturing, sensorial and effective treatments that utilize high quality products and the latest technology. 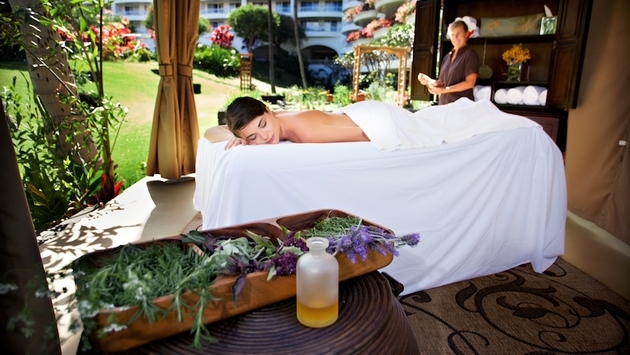 For more information on the new Willow Stream Spa at The Fairmont Kea Lani, please visit Fairmont.com/KeaLani. To learn more about all Willow Stream Spa locations worldwide, visit Fairmont.com/explore/spa/willow-stream-spa. For more updates on the island of Maui or a free Maui Travel Guide, please go to VisitMaui.com or call 1-800-525-MAUI (6284).